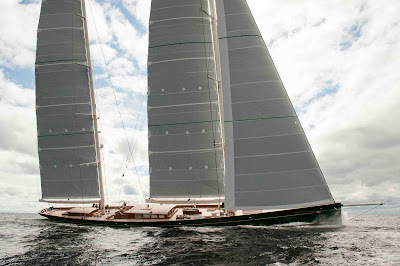 Hetairos, the stunning 66 metre Baltic Yachts ketch launched in July this year was the first superyacht to finish the Transatlantic Superyacht Regatta - Transatlantic Maxi Yacht Cup 2011 at 00.03 a.m. GMT on 30th November. 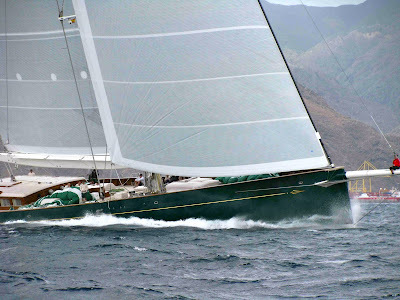 She crossed the finish line just off Saba Rock after 8 days, 10 hours, 58 minutes and 30 seconds of navigation. Designed and engineeried by Dykstra & Partners and Reichel Pugh, Hetairos covered the 3069 mile trip from Santa Cruz in Tenerife at an average speed of 15.12 knots. 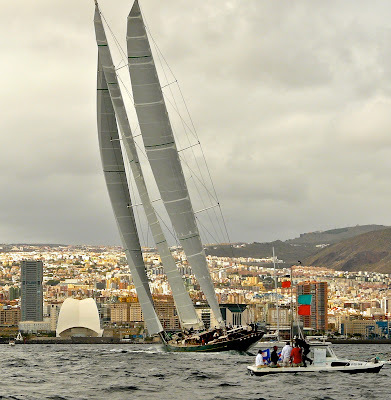 Second-placed Sojana (GBR), owned by Peter Harrison, was approximately 400 miles from the finish at 09.55 GMT today. She was travelling at approximately 9 knots and was followed by Andrea Recordati's Wally 101 Indio (ITA). "The wind has started dying down about an hour ago, only 23 to 28 knots now. 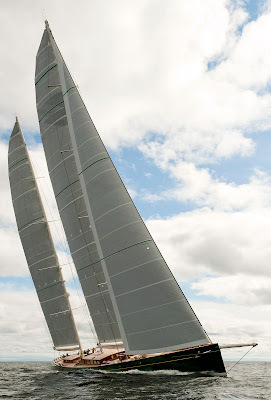 We are carrying the storm jib forward with 3 reefs in the main. A bit underpowered through the night in the light patches (23-30knts), but perfect when squalls came in (30-38 usually, one at 46knts), with lots of rain. We are still managing acceptable average speed, with some amazing top speed out of nowhere of up to 24 knots," Fliegner said. Tobias Koenig's Swan 82 Grey Goose of Rorc (GBR) was in fourth place. Although following different courses, there was little in it between the Wally 107 Kenora (ITA) and the smallest yacht in the fleet, the Croatian Karuba V, which both had approximately 900 miles still to cover. 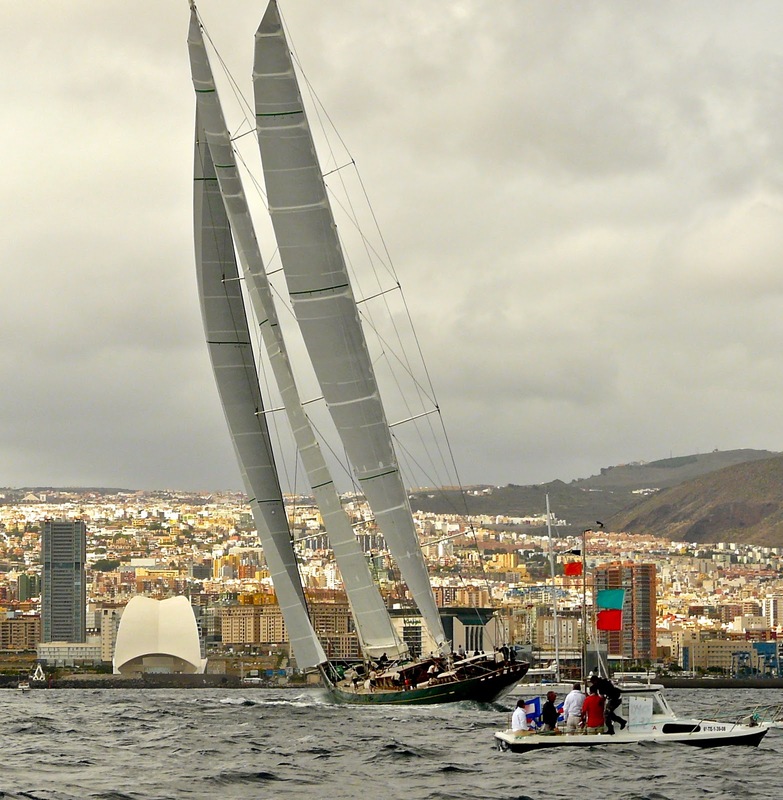 Salvatore Trifiro's 49.7 metre Zefira (ITA) made the decision to switch to engine power for the final stretch and is no longer competing in the race. On iRC corrected time Hetairos completed the course in just over 17 days and 9 hours and the fleet will be fighting tooth and nail over the next few days to be in with a chance of taking overall victory. The top scoring IMA and YCCS boats will also receive awards at a glittering prize-giving ceremony held at the Yacht Club Costa Smeralda's stunning new Clubhouse perched above the Club's purpose built superyacht marina. Another six superyachts will be arrive in Virgin Gorda over the coming days.